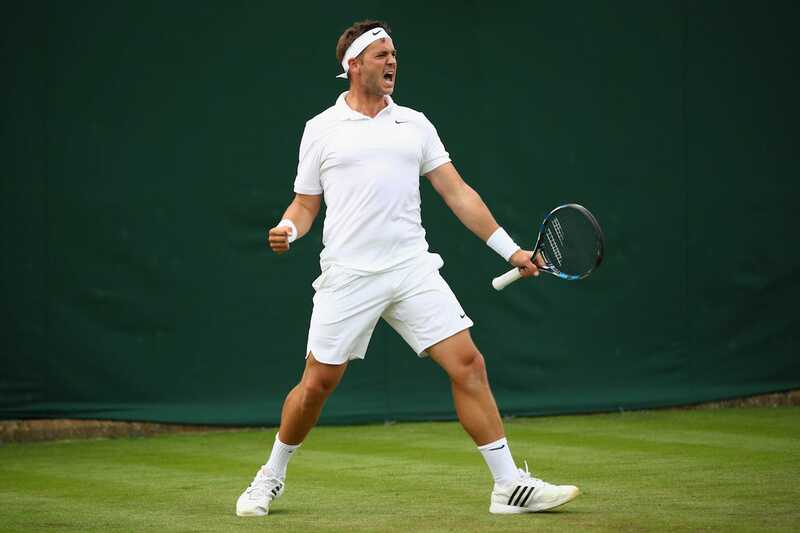 Prior to the start of Wimbledon, Marcus Willis had made just $290 on a tennis court in 2016. The 25-year-old Brit, who still lives at home in Slough with his parents (and needs to pay off credit-card debts), is currently ranked 772nd in the world. He is nicknamed “Cartman” because he has more of a dad bod than your average professional tennis player. And had his girlfriend (whom he met at an Ellie Goulding concert) not convinced him otherwise, he would have long ago quit tennis to become a coach. On Monday, he pulled off one of the biggest upsets in tennis history. In the first round of Wimbledon, Willis stunned world No. 54 Ricardas Berankis in straight sets (6-3, 6-3, 6-4) to advance to the second round of the tournament’s men’s singles draw. The victory, which happened in front of a small and raucous gathering of local fans on an outer court of the All England Club, secured Willis approximately $65,000 in prize money. That should help with those credit cards. Willis’ journey to the second round of Wimbledon is an improbable one, to say the least. Merely qualifying for the main draw is the stuff of fairy tales. He qualified for the Championships after Scott Clayton’s last-minute withdrawal from Roehampton; and he only got his spot in that event when fellow Brit David Rice fell out of the ranking places. He then had three fighting wins through the rain and wind to earn a first‑round shot at world No. 54 Ricardas Berankis. Having made under $100,000 in career earnings, Willis has on several occasions come close to quitting the sport. Luckily, his girlfriend convinced him otherwise. In the second round of the tournament, Willis will face Roger Federer. Among, to say the least, the handful of differences in their tennis resumes, Federer is some 769 spots higher in the rankings. Win or lose, it’s all gravy for Willis going forward. At the very least, against Federer he’ll certainly have his country behind him. Because after Brexit, and England’s loss to Iceland at the European Championship soccer competition, Willis has become the feel-good story the country needs. Marcus Willis???????????????????????? how good is that!